Buy Anti-Collision Hydraulic Roller Flaker - Shandong Leader Machinery Co.,ltd. 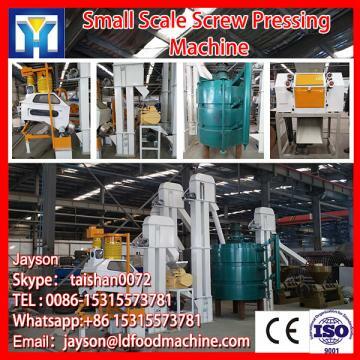 mainly used for flaking peanut,soybean ect oil seeds,hydraulic system control,new model. 1. Adopt GR37-4P feeding reducer,nice shape and durable. Feeding motor adopts inverter control,adjust well feeding roller speed as input speed to assure the reliability of production. 2. Feeding roller is near by flaking roller,without overflow. 3. The feeding roller and stock stop door are tightly closed,that mean materials will not leak even though smallest granule. 4. Stock stop door is used to control open and close by hydraulic cylinder,flexible,without rust,use adjust handle of stock stop to adjust stock stop open degree,meet production demand. Shoulder baffle is adjustable type,can be adjusted free to assure without leak. 1.Magnetic bar adopts strong permanent magnet,strong magnetic force,can protect roller well. 2.when cleaning the iron by magnetic bar,turn over magnetic bar at outside for cleaning,easy to clean,and assure that iron cleaned will not drop in the rollers. 1.hydraulic pump is batch type,when it reaches working pressure,pump motor will stop automatic,pressure of hydraulic pump will not be changed.During long working,when pressure reduce to given bottom line,motor will automatic rotate to working pressure and then stop. Save electricity,reduce consumption,prolong using life of oil pump,reduce oil temperature,assure stable long working pressure. 2.Use hydraulic cylinder for combine and separate.Advantages:when fast stopping,materials will appear between rollers.Before starting,hydraulic cylinder can separate roller,and clean off materials,then starting will be easier. Advanced anti-collision device,only use hand wheel at front of cylinder to adjust the roller distance as user require.Under flaking is eligible,tight small hand wheel.Make sure roller always work between rollers,no strike between rollers. Index plate is set up at front of oil cylinder,only use handle at front of cylinder to adjust flake thickness as the index plate until achieve ideal flake. 2.Bearing base is square,stable,closed for cover. 3. Good sealing for bearing base,makes bearing always run in oil,bearing life can prolong more, without repair, no worry for user. 4.Easy maintain for rollers, can install special rollers grinder fast on the base, online repair front roller and back roller. Spring compressed on the scraper frame, use pressed nut to scrape the scraper and roller, when adjusting, worker can adjust free outside. Locating device is installed on scraper, when there is good touch between scraper and roller, scraper will not continue to wear,increase usage life of scraper. For the whole Anti-Collision Hydraulic Roller Flaker,warranty is 12 months,within 12 months,if have equipment quality problems,we will provide accessories freely. After the expiration of the warranty period,if have spare parts problem,we only receive the cost of required replacement parts.We commit we will provide free technical support of equipment all whole life. Our company has engaged in producing and exporting Anti-Collision Hydraulic Roller Flaker for many years, and until now, our machine has exported to overseas market, such as Brazil, India, Indonesia, Russia, Thailand and so on, and get the foreign customers' unanimous praise. We believe that you purchase Shandong Leader Machinery Co.,ltd. Anti-Collision Hydraulic Roller Flaker is your best and sensible choice.